Squeee! 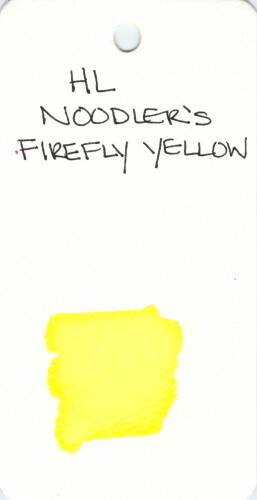 Firefly Yellow is what I have in my Preppy Hightlighter and I really like it. Works great, is super-bright. Does the job. This entry was posted in INKS and tagged highlighter, ink swab, noodler's, yellow by Christine (Pentulant). Bookmark the permalink.